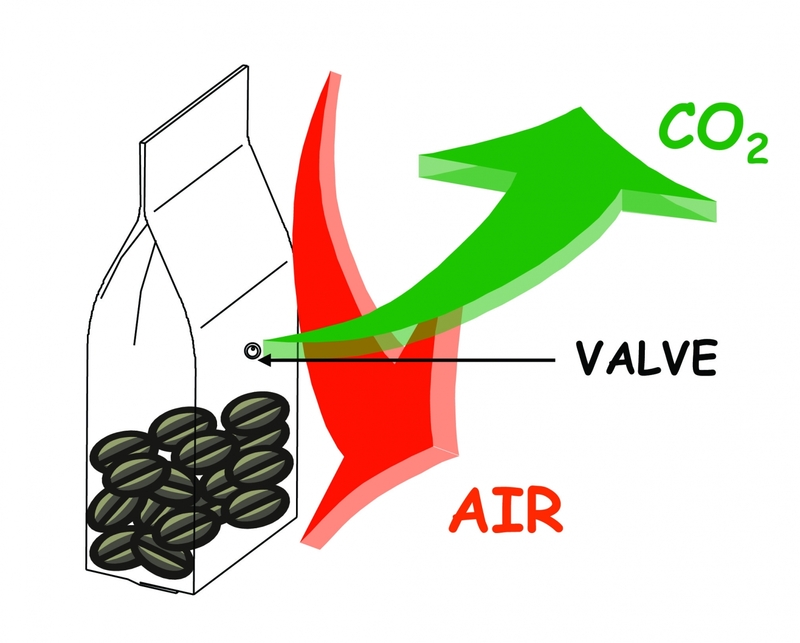 After a coffee bean is roasted it releases CO2 for up to 7 days.. We want to allow the roasted coffee to degass and expel all the CO2 whilst eliminating the degeneration that occurs when the roasted coffee is in contact with oxygen. Roasted coffee deteriorates rapidly when in contact with the air: the oxygen in the atmosphere activates the oxidation process of the coffee making its aroma disappear quickly. We believe the key is a careful balance between the time we allow for coffee to degass in the silos versus the time it is exposed to oxygen before packaging. Our process is unique as we batch roast to order and therefore have the Ublend coffee delivered to each individual coffee shop typically 7 to 10 days after roasting. This means we have to carefully manage the de-gassing and packaging process to deliver coffee that is perfect for our customers. We package the coffee within 24 hours of roasting. Up to 70 % of the degassing process occurs within this 24 hour period. By packaging in a bag with a one way air valve, we allow the remainder of the degassing process to naturally occur in the bag and be expelled through the valve. The valve also stops oxygen from getting back into the back and potentially degrading the product. OUTCOME – Freshly roasted coffee – Perfect taste.